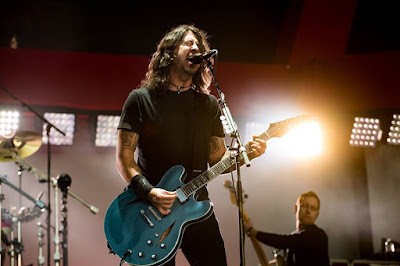 The Foo Fighters continued to perform their show-closer, “Everlong”, at the Bottlerock Festival in Napa Valley, CA on May 28 after organizers pulled the plug on power due to a strict 10 p.m. local curfew, and video from the show surfaced online. Check out the No. 7 hennemusic story of 2017 on FOO FIGHTERS here.